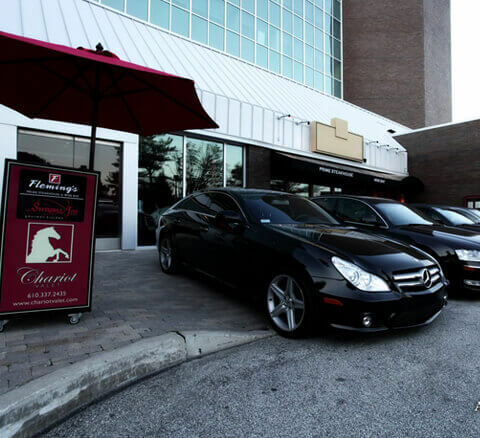 Chariot Valet is the Premier Restaurant, Shopping Center, and Event Parking Service Provider on the Main Line and Greater Philadelphia Area. Our expedient valet staff are dedicated to delivering the highest level of service that begins and ends with a great impression. Your guests and patrons can focus on the importance of their visit and go about their day with ease. We direct traffic and maintain order for special events, private parties, and for patrons at shopping centers, restaurants, hotels, hospitals, medical centers, concert halls, stadiums, car dealerships and much more. Employees are always dependable, on time & dressed in full matching uniforms... Both Ryan and Jonathan are a pleasure to work with and set up all the details. We Provide Valet Parking Service for all Businesses, Organizations, and Event Types of Varying Sizes Throughout the Tri-State Area, including PA, NJ, and DE.